This MagnaBadge magnetic badge attachment is clothing friendly as it doesn't cause tears or pin holes. 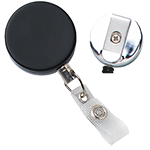 The magnetic badge attachment has the strongest holding power of all magnetic badge attachments. The badge attachment has two, round, rare earth magnets. The magnets are encased in plastic on a nickel-plated steel plate and come with one zinc-plated steel plate. 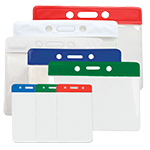 The zinc-plated steel plate of the magnetic badge attachment includes a pressure-sensitive foam pad with peel-away liner, which is attached to the back of your card. 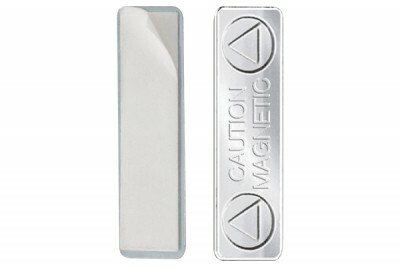 The other half of the two magnet, magnetic badge attachment is placed underneath your clothing for a secure hold. Doesn't fall off! Great stuff. A good alternative to clips and pins! With these, you won't have to worry about pricking yourself. We are impressed with these magnetic badge clips. They really work!!! 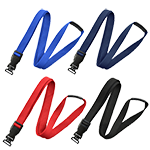 We were doubtful at first, but after actually using them, we knew we found a very nice alternative to lanyards for our people. 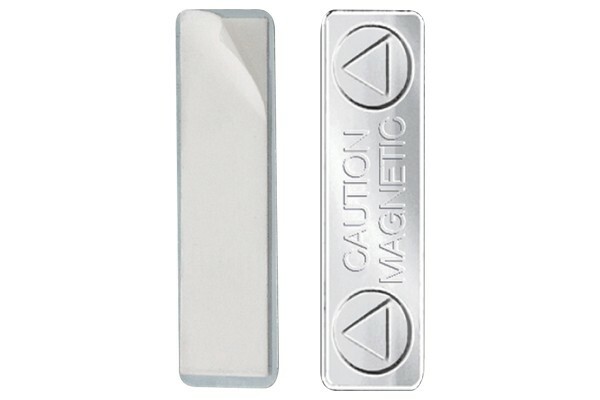 I have been looking for a product that used strong, quality magnets. My search has finally ended. 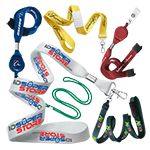 These badge clips are simply amazing, able to hold even very thick and heavy ID cards! In case you don't know.. Magnets and magstripes don't go well together. 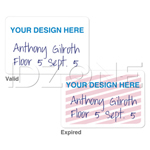 This badge finding is a cost-effective solution for attaching and displaying ID badges. I was informed that there might be a delay with the delivery but I am happy that this was delivered just when we were scheduled to release them for use. Let's you attach IDs to clothes without ruining them. 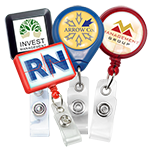 Our employees love these magnetic badge findings! These are reliable badge findings. The magnets are very strong. You wouldn't find this sold at this price anywhere else online. I am so lucky to have found this site!